When was the last time you thought about the word prudence or whether the last decision you made was prudent? “I, wisdom, dwell with prudence” (Proverbs 8:12). Being wise and sage-like are desired attributes most scholars seek to self-actualize in their life achievements. Here is where life-long learning becomes a daily chosen habit and where the pursuit of truth to do good becomes a conscious decision-making practice to lead life with purpose. The purpose of this article is to introduce the concept, meaning, and application of prudence in doctoral research and how it fits with self-leadership behaviors of planning and preparation for achieving success. It is the first of seven articles, each building upon the quality of prudence to apply good judgment and common sense in research. 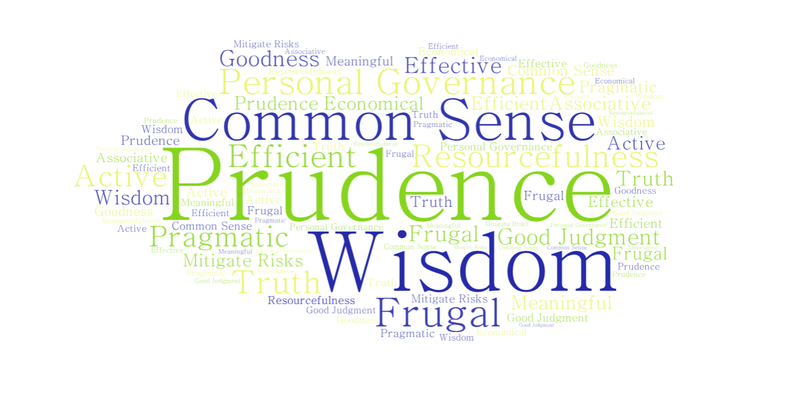 The concept of prudent thinking can be defined as “provident care in the management of resources; economy; frugality” (Dictionary.com, 2019, para 4). As a classical virtue, prudence in the Aquinas (2017) context is a discipline of self-leadership and personal governance to apply practical reasoning in decision-making motivated by the truth to do good (Migliore & Bean, 2018). Becoming a Scholar-Practitioner-Leader (SPL) is a process of leadership and personal effectiveness, which can positively impact our families, workplaces, and communities (McCaslin, 2017). According to the University of Phoenix College of Doctoral Studies, the mission is to: Develop leaders who will create new models that explain, predict, and improve organizational performance. These leaders are scholar-practitioners who conduct research as a foundation for creative action, influencing policy decisions, and guiding diverse organizations through effective decision-making. Therefore, deciding to be a prudent SPL is a conscious choice that involves deep reflection on your learning and leading experiences. For example, how often do you consciously invest time to reflect on a new concept learned or a recent situation of conflict? Can you identify what values and beliefs are influencing your perceptions and opinions about the subject matter? According to Migliore & Bean (2019), there are three ways prudence can be practically applied in context of one’s values, beliefs, and perceived risk(s) in a given situation: (1) Meaningful, (2) Associative, and (3) Active. Each of these ways requires self-reflection to identify what’s important, why it’s important, and how best to use and sustain resources (e.g. time, energy, finances, relationships, etc.) to achieve desired outcomes. Meaningful applications of prudence involve self-reflective questions like what personal values and beliefs are being stimulated by the content of the learning material or the circumstances of a particular situation? Why does this matter to me? What meaning does it have to my personal behaviors or what I would like to accomplish? Associative applications of prudence involve a relationship to something or someone. Self-reflective questions would include what should my relationship be with this subject matter or the people involved (e.g. class mates, work colleagues, instructors, or bosses)? What do I risk if I avoid this association? What do I risk if I embrace this association? Active applications of prudence purposefully seek to achieve a desired outcome. Self-reflective questions of active prudence would include what do I want to achieve and how likely can I achieve it if I take this action? What do I risk if I take this action? Applying prudence will vary by person based on their values, beliefs, and life experiences, which are embodied in religious, cultural, and societal norms (Migliore & Bean, 2019). The ways and means in which an individual decides how to apply prudence will also be motivated by perceptions of risk to self, personal resources, and the situation at hand. Likewise, when it comes to conducting a doctoral-level study, the prudent researcher will anticipate future need and prepare accordingly to mitigate risks of personal resource loss (e.g. time, energy, and finances). Anticipation and realistic assessment of resources is needed to endure the doctoral journey and the discipline to identify a research-worthy problem from which to design and develop in accordance with appropriate methodology. Here is where efficiency and effectiveness become outcomes of applied prudence. Doctoral learners experience the time-consuming challenge of learning how to transition from being a consumer of knowledge to a producer of knowledge. This transition can be frustrating because it involves multiple iterations to address objectively the various competing views found in scholarly peer-reviewed literature. All these iterations make the research process longer than initially anticipated. Therefore, planning and preparation are essential behaviors to use personal resources in the most effective and efficient manner – a prudent attribute. Got Prudence? At the end of this article are relevant resources to help with planning your research study. Also, please be sure to check out my next monthly blog article, which delves deeper into prudence as a practical application of personal resources and attitude in the learning process to mitigate stress and be proactive in research. For example, reframing your perspective to “Do what you can with what you have and where you are at” (Theodore Roosevelt). The Dissertation Library Guide is a good resource to start with. The SAGE Research Methods Planning Tool is also a good resource to start with. CRAPP Model: https://library.phoenix.edu/dissertations/evaluate-sources The CRAPP Model will help improve your efficiency and effectiveness in literature review. Journal Article about Problem-based Research: Ellis, T.J., and Levy, Y. (2008). Framework of problem-based research: A guide for novice researchers on the development of a research-worthy problem. Informing Science: The International Journal of an Emerging Transdiscipline 11, 17-33. 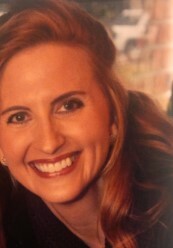 Aquinas, T. (2017). Aquinas’ moral, political, and legal philosophy. Stanford Encyclopedia of Philosophy. Retrieved at https://plato.stanford.edu/entries/aquinas-moral-political/ [Accessed February 21, 2019]. McCaslin, M. (2017, September 19). The Scholar-Practitioner-Leader (SPL): An introduction. Migliore, L.A. and Bean, E. (2018, October). Prudence as a construct to embody leadership for peace and prosperity. Roundtable discussion presented at International Leadership Association (ILA) 20th Anniversary Global Conference, West Palm Beach, FL. MacArthur School of Leadership and Palm Beach Atlantic University. Migliore, L.A. and Bean, E. (2019). The Prudence Atom and Law of Attraction in leadership decision-making. Manuscript submitted for publication.